Slowly sipping a quality bourbon cocktail at your favorite watering hole is one of the finest simple pleasures in life. But there’s a different between “drinking” the spirit and truly “tasting” it. Here are some tips for sharpening your tasting chops and how to get the most from the experience while raising a glass during a distillery tour. To get the most from your bourbon tasting, you’ll need the right drinkware on hand – a Glencairn glass. Any distillery worth its weight in mash will provide one during your visit, but it’s still important to know why this drinking beauty is perfect for the job. The wider base of the glass makes swirling and viewing the spirit easy and the narrow top perfectly funnels the aroma to your nose while letting overt alcohol fumes dissipate. Tasting bourbon on a distillery tour involves more than simply tipping your glass. To really get a sense of the drink, you’ll need to focus on four distinct components – appearance, aroma, taste, and finish. The appearance (ranging from “gin clear” to the dark “treacle”) can give clues as to how old the spirit is, its proof, and where it was aged. Aroma and taste are inextricably linked, making it very important to get a good whiff of the drink before taking a sip. Finally, the finish involves how the bourbon lingers on your tongue after it’s swallowed. Taking in those four unique elements might seem daunting, but there’s a special process that will help. The “Kentucky Chew” is the key to getting the most from your bourbon tasting experience while on a distillery tour. First, swirl the drink in your glass while taking note of its color. Then, place your nose a bit in the glass and breathe in with your mouth slightly open; you won’t get the full range of aromas if your mouth is fully closed. After getting a good sniff, take a sip and “chew” the liquid before swallowing. 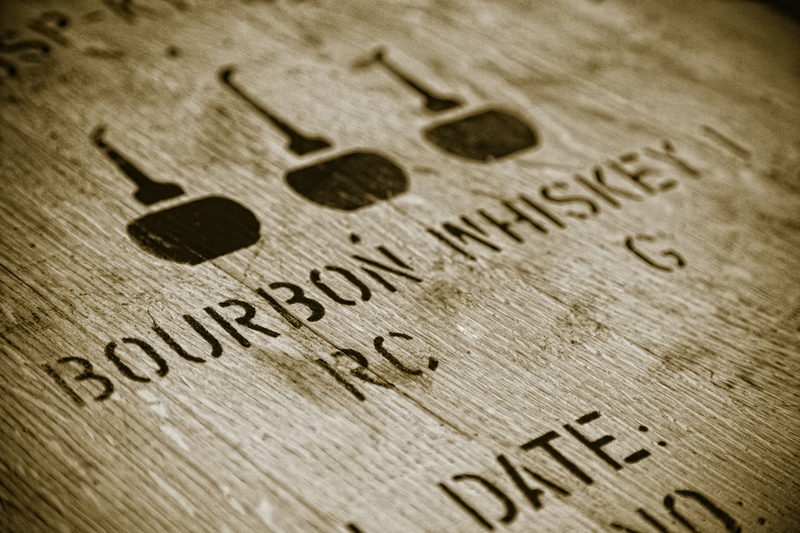 Moving the bourbon in your mouth by chewing lets you experience the full range of flavors the drink has to offer. To cap off your Kentucky Chew, swallow the sip and smack your lips a couple of times to fully take in the finish. Start planning your bourbon tour today by visiting the Woodford County Tourism Commission. Centered in Versailles, KY, the commission is the authority on the must-do activities in Woodford County, including the palate-tickling Kentucky Bourbon Trail® tour featuring distilleries such as Woodford Reserve, Buffalo Trace, Four Roses, and Wild Turkey. Visit the website for more information or call (877) 817-6585 to speak with a friendly representative.